TracPartz has the biggest range of high quality Japanese tractor parts and accessories. We deliver very fast the highest quality tractorparts directly out of stock. If the product of your interest is not in our assortment, we will be glad to assist you with your search by email or telephone for this product. 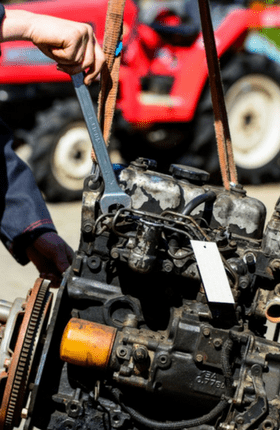 We will assist you with your search with our knowledge and experience of tractorparts. You can also use the search bar on the right to find the part you are looking for.. Secure payments with CreditCards, PayPal etc. TracPartz has the biggest range of high quality Japanese tractor parts and accessories. The parts are suitable for the brands and types named in the description. TracPartz does not sell original equipment manufacturer (OEM) parts, unless this is specifically named in the title or description of the product. TracPartz is 100% independent and not related to Kubota, Yanmar, Iseki, Hinomoto, Shibaura, Mitsubishi or any other brand. We use our own approved suppliers and can thus guarantee the highest quality of our products. Bij TracPartz heeft u de keuze uit vele gebruikte en nieuwe tractorbanden in verschillende maten en condities. TracPartz heeft de grootste webshop van (mini) tractoronderdelen en accessoires. Wij leveren veelal binnen 24-48 uur binnen Nederland maar tevens aan de hele wereld. 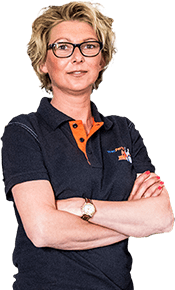 8000 Tractor Onderdelen online, 24/7. In onze webshop staan dagelijks duizenden tractoronderdelen online met goede foto's en beschrijvingen.